"Saturday Night Live's" ratings have reaped the rewards of a crazy and unpredictable political season, delivering the show's biggest audience in eight years. Yet any high fives over the NBC program's commerce -- with ratings most primetime shows would envy -- should be mitigated by its art, which has lagged behind other satirical showcases. By that measure, "SNL" has capitalized on this political moment without raising its game creatively to meet it. It's telling that the most-buzzed-about aspect of "SNL's" initial episodes has rightfully been a temporary asset: Alec Baldwin's portrayal of Donald Trump, showcased in a series of opens devoted to the presidential debates. A gift from the comedy gods, those segments have been particularly funny because they were as much reenactments as parody, with Kate McKinnon also shining in her role as Hillary Clinton. With these episodes timed to leverage the campaign, millions have turned to the franchise for its take. Beyond that, though, the initial flurry of telecasts has been largely forgettable, squandering the chance to set up "SNL" in a way that would stoke enthusiasm for what comes once the election ends. Admittedly, hand-wringing about "Saturday Night Live" not living up to the good ol' days has become a popular sport through the years, and the show is still standing -- indeed, thriving -- in its fifth decade. But the juxtaposition of last week's final debate-related episode with "SNL" alumnus Bill Murray receiving the Mark Twain Prize for humor -- an event PBS will televise Oct. 28 -- feels like a referendum on the comedy plateau that the show isn't reaching, at least with any regularity. The trend on "SNL" has instead tilted toward the surreal, or the simply silly. Too many of the early sketches feel like the kind of stuff viewers used to see in the last half-hour, while the closing third has become especially weird -- witness the spoof of "Who's Afraid of Virginia Woolf?" with hamsters during the Oct. 15 episode hosted by Emily Blunt. Veteran host Tom Hanks upped the show's game a bit, including the very funny "Black Jeopardy" sketch. And while there was a charming goofiness to the "haunted elevator" bit -- with the internet lighting up over Hanks' bizarrely clad David S. Pumpkins -- like so many of even the better sketches, the idea was pretty well exhausted before it was over. The show's other signature component, "Weekend Update," is in good hands with Michael Che and Colin Jost. Still, even that has felt eclipsed by the election material peppered throughout the week from Stephen Colbert, Seth Meyers, Samantha Bee, Bill Maher and John Oliver -- a programming expansion that "SNL" has weathered ratings-wise while looking diminished creatively. As for the editorials dropped into "Update," it's hard to remember many that have elicited a laugh of late, other than Leslie Jones' tart rejoinder aimed at Twitter trolls in the most recent episode. 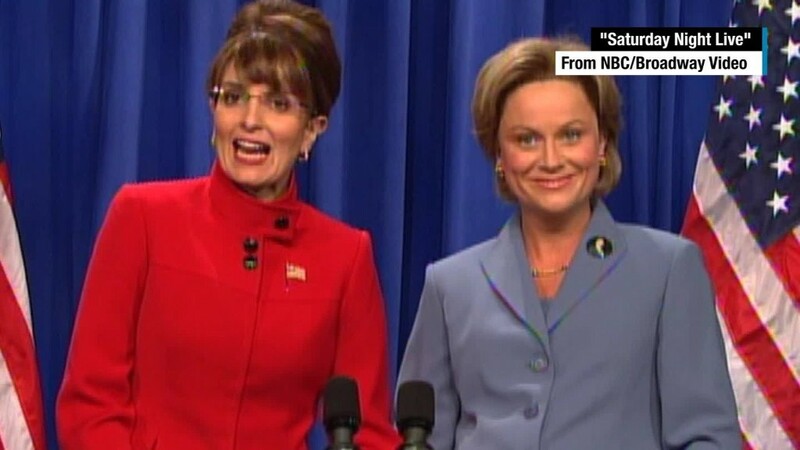 "SNL" has one more outing scheduled before the election, on November 5. But to the extent the show had a golden opportunity to put its best foot forward, nothing so far has mustered much enthusiasm for what comes after that. NBC has scant incentive to tamper with what appears to be working. The temptation will be to savor the big numbers. History also shows that "SNL" casts labeled underachievers can rally and pleasantly surprise its critics. Thus far, though, all that campaign-driven success feels as if it's masking shortcomings. And in this case, celebrating victory during the equivalent of the primaries might just be obscuring problems that will become more apparent in the general.